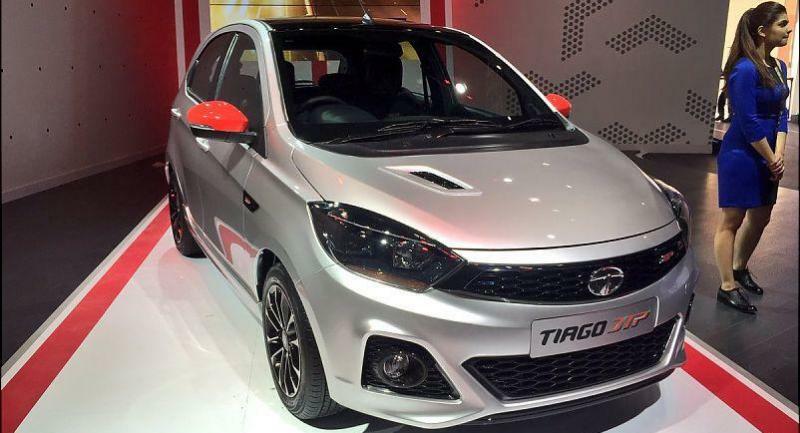 Tata Motors has showcased the Tiago JTP and Tigor JTP high-performance cars at the 2018 Indian Auto Expo, ahead of their launch in the market later this year. Both cars come with JTP branding, signifying that they’ve been developed under the ‘Jayem Tata Performance’ car division. Jayem Automotive is a Coimbatore-based race car maker that also offers engineering services to Tata Motors. Both the Tiago and Tigor JTP models have heavy engineering inputs from Jayem Automotive. Both cars use the 1.2 liter REVOTRON turbo petrol engine borrowed from the Nexon. This engine makes 108 Bhp-150 Nm on the JTP Tiago and Tigor, which means that it’s been slightly detuned from the Nexon’s 108 Bhp-170 Nm outputs. This engine is paired to a 5 speed manual gearbox with ratio tweaks to make best use of the more powerful engine. The JTP cars also get tweaked suspension to make handling crisper. The revised suspension has resulted in both the sporty cars riding lower than the regular versions. The lowered stance will also help in better road holding. In terms of stylistic changes, both cars get revised front bumpers, larger fog lamp housings, tweaked bonnets and fenders with air vents, smoked projector headlamps, side skirts and rear diffusers. 15 inch diamond cut alloy wheels are also on offer while the tyres continue to be 15 inch units in the interest of a comfortable ride. Braking also remains unchanged with disc brakes on the front wheels and drum brakes at the rear. ABS is standard, and so are twin airbags. On the inside, the cars get an all-black dashboard, with leather seats and steering with contrast red stitching, aluminium pedals and a new, touchscreen infotainment system with an 8 speaker Harman stereo. Prices of both cars will be announced at launch. 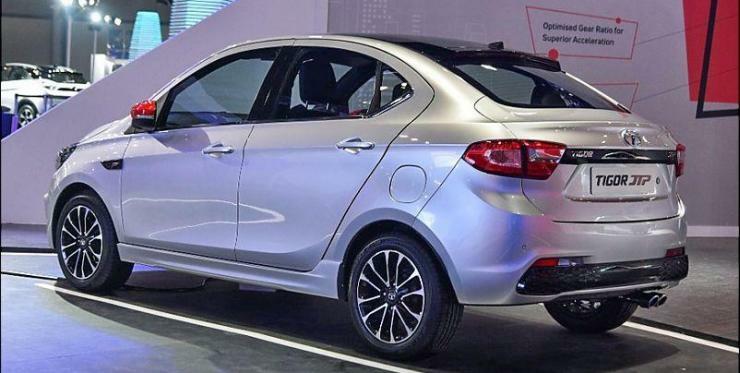 The Tiago JTP is likely to cost a little under Rs. 6 lakhs while the Tigor JTP is expected to be priced under Rs. 7 lakhs.